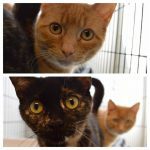 Mischief and Ginger were stray sisters living outside. Both had many litters before coming to Fixed Fur Life. 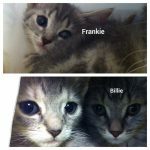 They were both Spayed and then adopted to live indoors only. 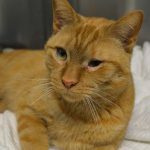 Ginger is a young neutered male whose owner could no longer care for. Super Sweet. He spent many weeks with us while we treated an eye condition. He was then adopted out! 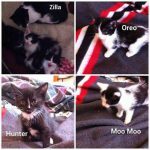 Zilla's babies were surrendered to Fxed Fur Life as owner could not care for. Zilla was Spayed and babies were all adopted! Our mother was a pregnant stray. She was Spayed and adopted once we weaned. We have all now been adopted as well! Darby came to Fixed Fur Life as an abandoned kitten. He stayed with us for many, many months. He was neutered and adopted! Frankie, Billie and Barney were wee babies living outside. They have now been adopted. New owners pre Paid Neuters. 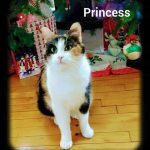 Princess was a pregnant stray who had her 4 babies outside. They were living under a dumpster. All went into foster care. 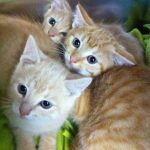 Kittens were weaned, spayed, neutered and adopted. 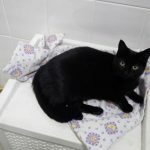 Princess was then Spayed and she went onto to her new indoor adoptive home. This beautiful, precious 14 year old has found a home. Her owner passed away many months ago and she came to Fixed Fur Life. Possibly one of the sweetest little ones I have ever cared for. She went off to her new home this am to live out her golden years. She immediately bonded with her new canine sister Maddie! 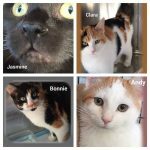 Jasmine, Bonnie, Clara and Andy were surrendered to Fixed Fur Life with 4 other siblings as owner could no longer care for. 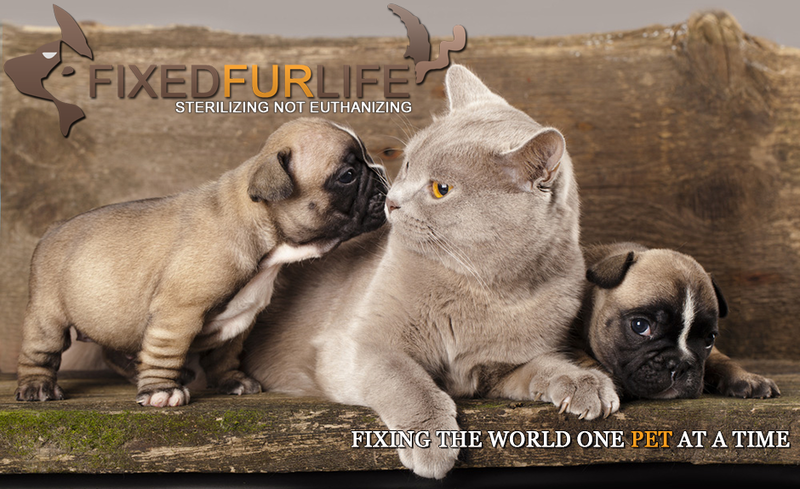 They were all treated for infestations and then Spayed and Neutered by Fixed Fur Life. All have recently been adopted! 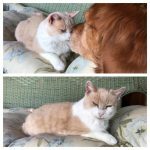 Many years ago Autumn's owner passed away. Her owners family then threw her and her housemates out into the winter cold to fend for themselves. We were able to round everyone up and eventually adopt all out. Autumn shown here in her new home a few years later. Love seeing these updates! 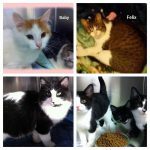 Riley, Finnegan and Fergus came to Fixed Fur Life as they had been living outside attempting to end for themselves. They were eventually Neutered and all went on to safe indoor homes! Missy came to us with a litter of kittens. 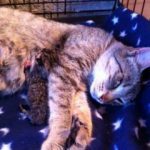 Her kittens were weaned and adopted. 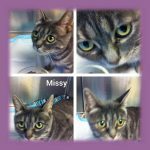 Missy was Spayed and adopted as well! Baby, Charlie and Collar were surrendered by owner as she was no longer able to are for. They spent weeks being treated for infestations of fleas and a parasite. They eventually evolved into beautiful felines. They have all now been adopted! Felix came to us a stray. He was also neutered and adopted! 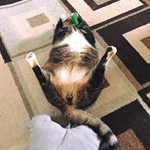 Abby was a pregnant stray. She came to Fixed Fur Life with 2 kittens. She is was Spayed and adopted. 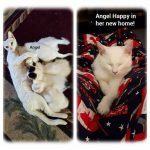 Her 2 babies were also adopted with new owners pre paying Spay Neuter. 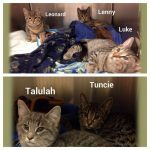 Luke, Leonard, Lenny, Tallulah and Tuncie's Mom's owner moved away and left her behind when she was pregnant. She came into our foster care program and had these 5 beautiful babies. 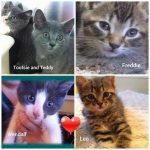 They were all Spayed and Neutered and were adopted! 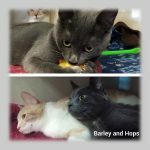 Barley and Hops mother had them outside. They were living under a dumpster in Trenton. Both were neutered and adopted together. Mom Princess was Spayed as well and is awaiting her new home. Jo Jo was a senior stray we took in. 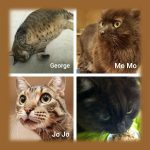 Mo Mo 's owner passed away and Georges owner moved away and left him behind. All have been adopted! 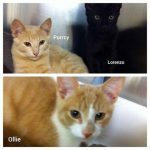 Purrcy, Ollie and Lorenzo were surrendered to Fixed Fur Life as owner could not care for. They were all neutered and adopted! Momma a pregnant stray who has since been Spayed. 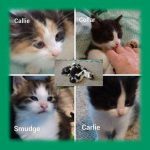 Callie, Collar, Smudge and Carlie were all adopted!